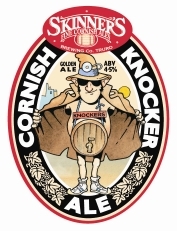 There are a lot of ale drinkers on PS these days, so I thought it was time we had a thread celebrating all the favourite Beers drunk by members of PS. It's time we had a thread for recommendations, favourites and ones to avoid. 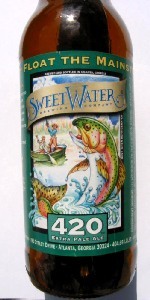 I'm quite fond of http://www.sierranevada.com/beer/year-round/pale-ale Sierra Nevada Pale Ale, that's always a good choice. Looking at their website, they have dozens of other beers to try too. Just because it's not British, doesn't mean it isn't tasty! If anyone is coming to the Annual PS Meet - held at the The Jugged Hare, Victoria London - you will find they serve a rather tasty Seafarers. I like Budweiser mainly (Shut up beer snobs. ), occasionally Michelob Amber Bock or Stella Artois. Blue Moon is pretty good too. Blue Moon is a great beer. We drank a lot of that when we were in the USA earlier this year! It's become really popular over here. Probably the only unfiltered beer I've ever had, so it was a bit strange having a cloudy glass of beer the first time. It's smooth and has a great taste though. I hope you had the orange slice on the side too. I'm not a big beer / ale / lager drinker - for many years I just didn't like the taste of bitter or lager. However , when I went to Uni in Edinburgh I finally found a draft beer that I liked the taste of, and promptly spent the next 5 years drinking far too much of it. It was Tennant's 80' (or ' a pint of heavy'). I've no idea whether it still tastes as good, having not got north of the Border for many a year. The only thing I've found close is Newcastle Brown Ale, which rarely comes on tap. Other than that, I can't say I've got a particularly discerning palate - unless it's something I don't like. It was so good, some of us went back for seconds! You know, sometimes the memory cheats... Proving the power of advertising, I just had to pick up a six pack of Blue Moon at the store last night, and after opening one I'm not sure I care for it as much as I thought I did. It's a bit citrusy... Still, good for a change-up I suppose. They did at the restaurant (Buffalo Wild Wings I believe was where we first tried it) though we don't bother with it at home. At lunch time, it was Jack's leaving meal. He's off to pastures new, and I celebrated in style with a pint of Gem. I'm noting all of these for future reference! Ooh! That one looks tasty! I had a box of ale delivered today from Steve's Mum and Dad. Looks like there's some fine beers to be drunk shortly within! Now, that's a birthday present to love! I suspect my parents have out-done me with their present to my partner. At least someone likes you, Si! 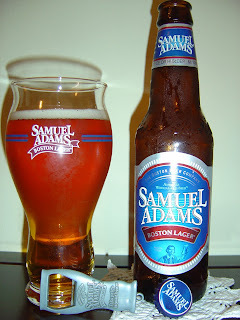 Sam Adam's Boston Lager is classic. They make a lot of seasonal brews as well. I quite like the Summer Ale. Has anyone ever tried making their own? I've always fancied giving it a try, out of curiosity. However these Home Brew kits can be pretty expensive and it seems a lot of money to fork out for something you may not even particularly enjoy when it's ready! I'd hate to spend a fortune and put the effort into making it, then not liking it...if that was the case the money would be better spent on good beers you know you like! It's not like you're just taking a chance and spending a few pounds on a beer you haven't tried before, you're talking more in the region of £50-£60 (probably more). Has anyone tried it before, if so what did you think of it, and what would you recommend (if any)? I've always found Americal beer to be quite incipid but I must admit that my exposure to it is fairly limited. My favourite is Leffe, not technically an ale of course but far removed from the usual Fosters, Carling, etc. which I find absolutley tasteless. Leffe has an amazingly tangy taste but I couldn't spend an entire night drinking it as I'd soon be on the floor. Leffe is wonderful beer and I've had many nights where its left me on the floor after drinking a few too many! Over the last year or so, with the help of Mr Hart and my sister's partner, I have been acquiring a taste for pale/golden ale, having for many, many years been solely a lager drinker. I'm not very knowledgeable however, so can't name particular ales - hopefully I can build up said knowledge over time! I also fell in love with Blue Moon in LA this year, and was delighted to finally find it in London recently courtesy of the aforementioned Mr Hart!